You do not need a garden to produce your own tasty greens and salad ingredients. 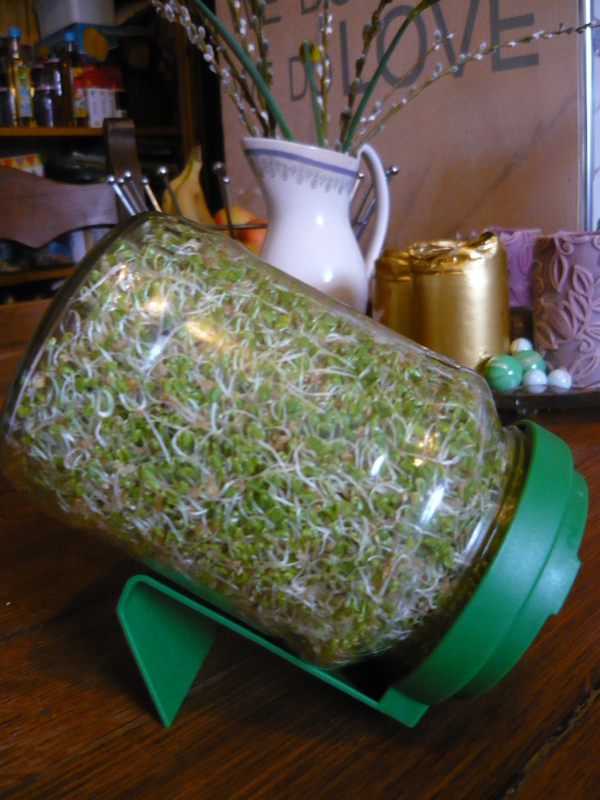 We love sprouting. We can highly recommend it even if you do have a garden. It is so satisfying to have fresh, tasty and nutritious food growing in just days, right in your kitchen. It does not cost a lot to get started, for example, you can buy lots and lots of sprouting seeds for the price of a couple of cinema tickets. So instead of watching some film you might find boring, disappointing and degrading, you can have a lot of fun in your own kitchen. All the goodness of the plant is right there in the seeds. 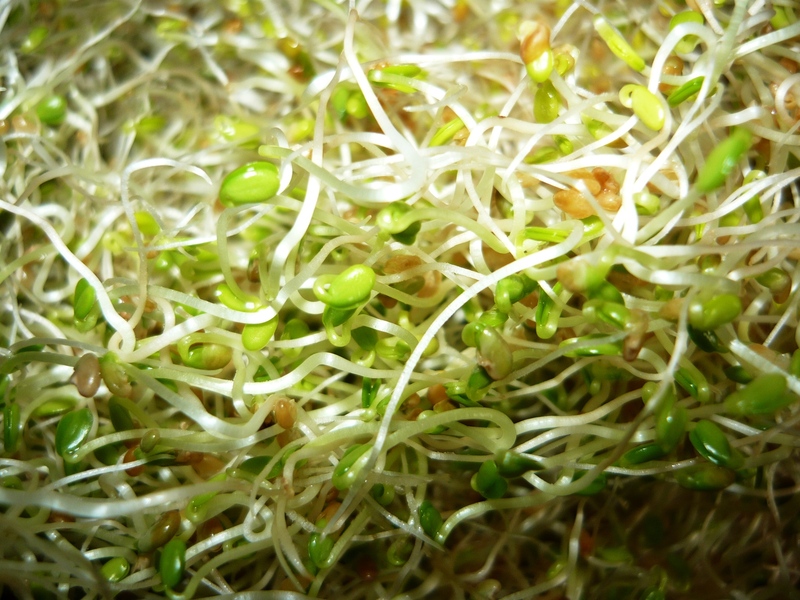 When you sprout them or grow them as micro greens, the concentration of nutrients and vitamins is much higher than if you grow them on to full size vegetables. 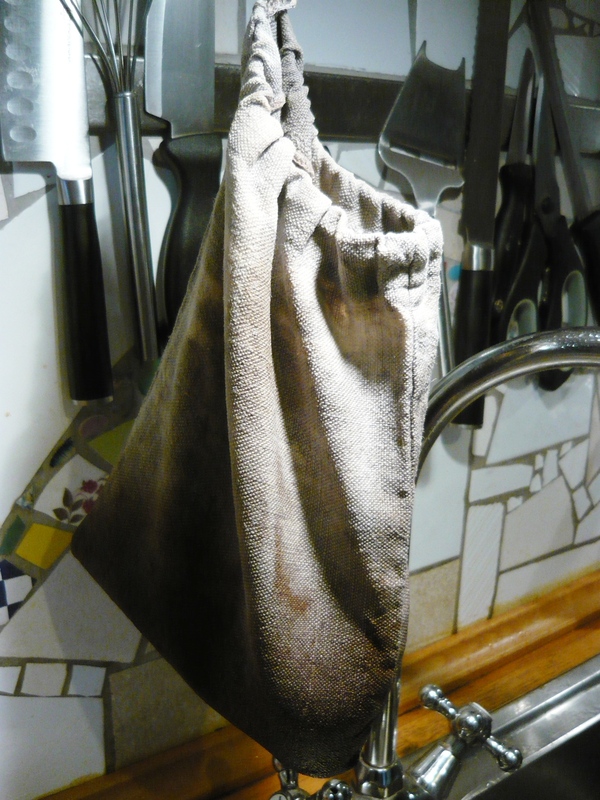 Our favourite way to grow sprouts is in a hemp fabric bag, hung over the sink. The hemp is antibacterial and does not easily get mouldy from being constantly damp. Our favourite seed to sprout is the humble lentil. Brown and Green lentils get completely transformed in just a few days from dry and hard to incredibly tasty, juicy and crunchy. We use them raw in salads and cooked in stir-fries and soups. If you buy a large bag of lentils, you will have many, many tasty meals for next to nothing. 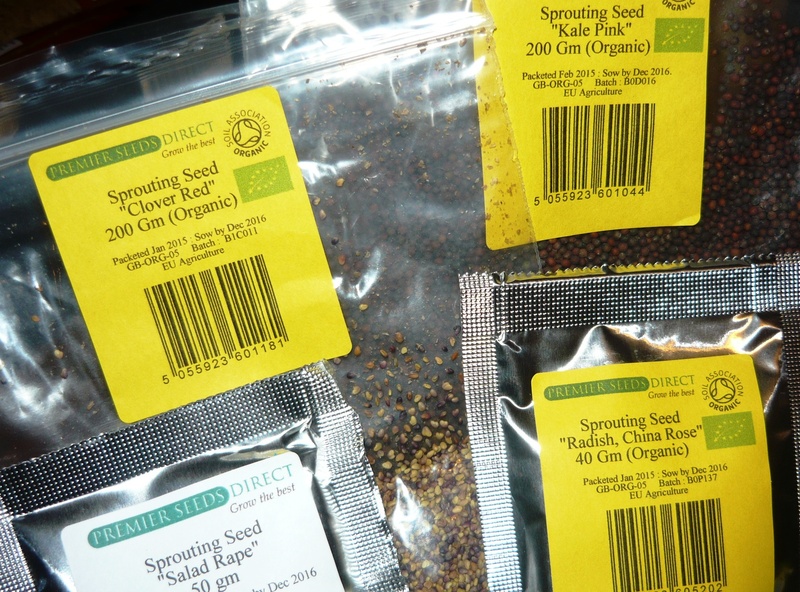 Any other slightly larger seed is also suitable for sprouting in a bag. For tiny seeds like Alfalfa and Red Clover we use a jar. You can make one up from an old jar, a piece of cloth and some string or buy one like in the picture. We also sometimes use a three-tier sprouting device where the water trickles trough all the layers and collect in the bottom tray, great for watering your house plants with. It is important to soak all seeds and rinse them prior to sprouting. You will need to do your own research as different seeds need different times soaking. After that all you have to do is rinse them for two or three times a day. 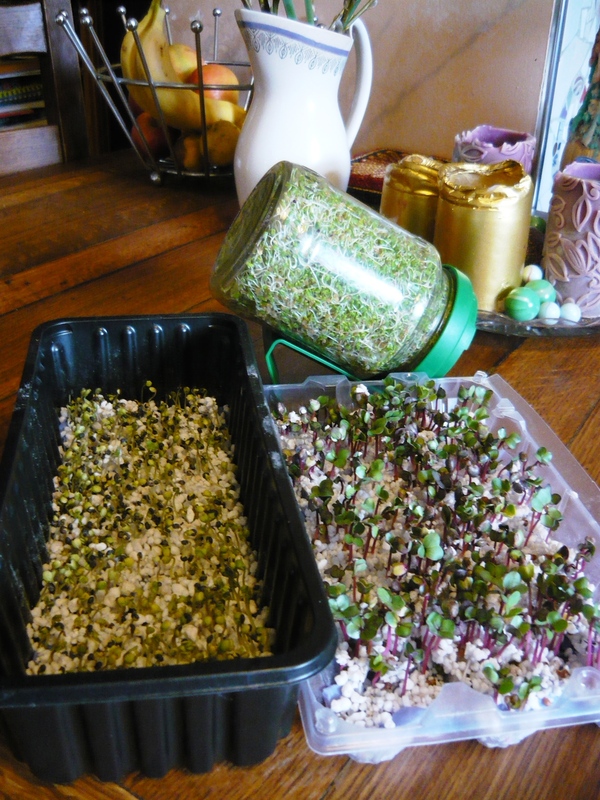 Almost everyone has grown some cress or mustard on a piece of damp kitchen paper as a child. We like to grow radishes and members of the cabbage family in this way. A week from planting you end up with a forest of small seedlings, jam-packed with flavour to use as a garnish on your food. 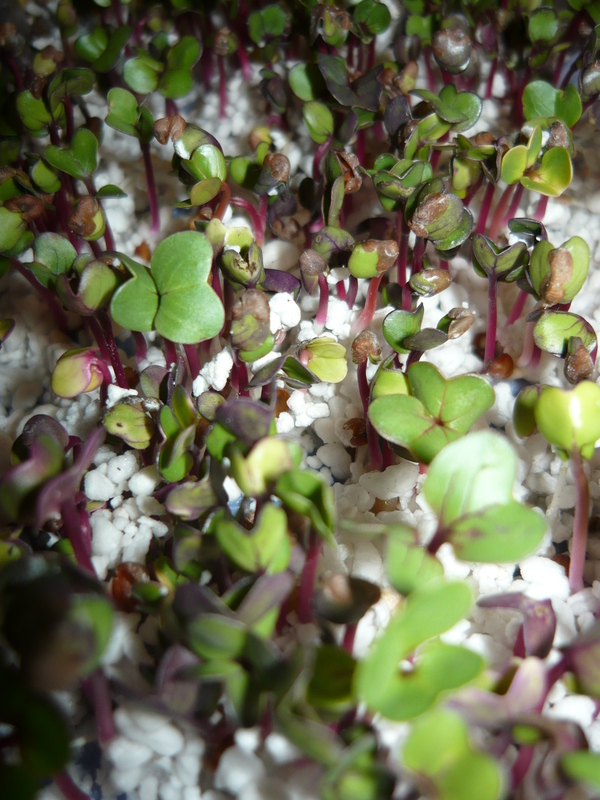 If you use a bit of soil as well, the seedlings can grow slightly larger and be harvested as micro greens. 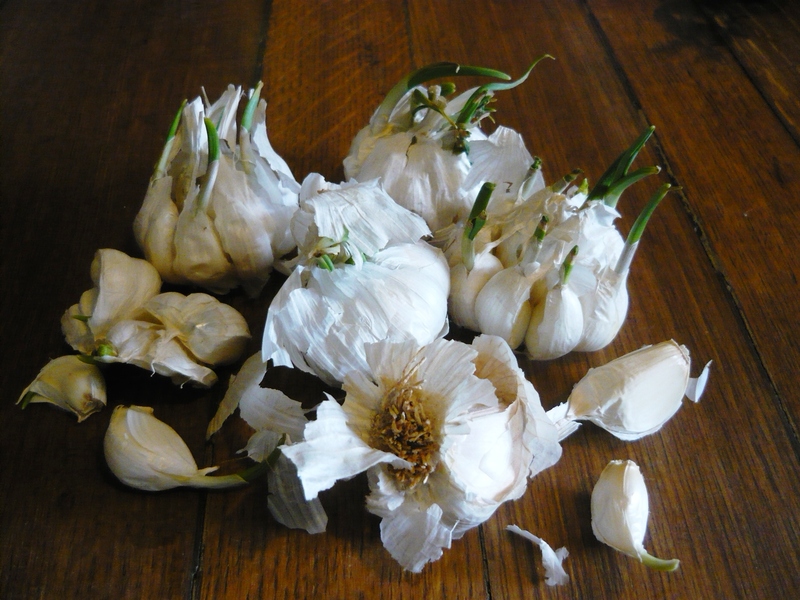 This time of year we usually end up with some garlic sprouting in the kitchen before we have had a chance to eat it. If this happens to you, don’t throw them out. Plant all the cloves packed close together in a little soil in a pot and you will soon have lovely Green, cut and come again garlic shoots. We hope you will try some or all the things we have written about here. Sprouts are delicious, very good for the planet as they do not require transport, chilling in the shop etc. as with bought vegetables and they are very cheap to produce. We can promise you that once you get started, you will not want to stop. ← Helping our endangered bees.